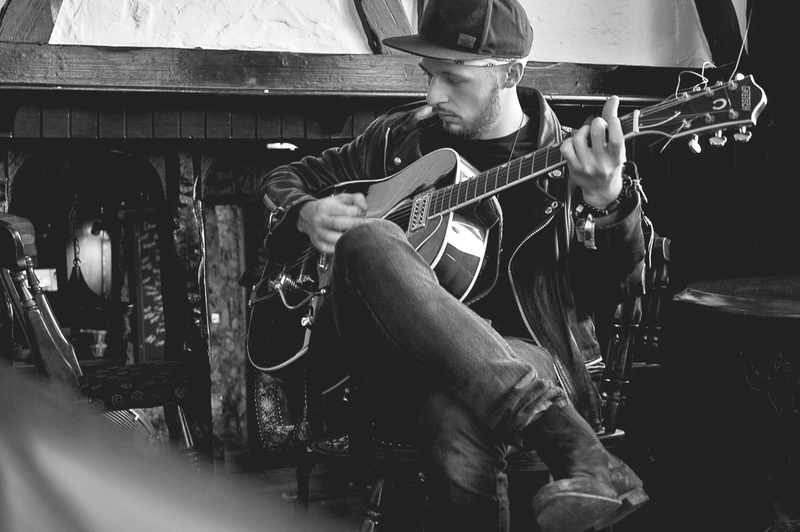 Jack Ellis is back and bluesy as ever with an upcoming EP entitled Out of Luck. Whilst you may have to wait a month and a bit to hear his latest collection of gems, the EP's lead single 'Small Change' is the first taste of what's to come, and you're in for a treat. Out of Luck itself is written around a question that Ellis began thinking about when bouncing "between the idea of right and wrong". He elaborates: "We watch reckless youth make the same mistakes we once made, still indulging in the same temptations. It begs the question; did we choose this path ourselves?" The musician begins to look for answers within the track, whilst producing an instrumental that truly reverberates in the soul. It's hard to distinguish where the riffs end and Ellis's vocals begin between verse and chorus; he's that intertwined with his craft. A balanced production — accompanied by killer guitar solos — go a long way when painting an illustrious soundscape, and Ellis sure delivers. Proper, smooth blues with a raw edge and confidence, 'Small Change' is a promising lead for what will likely be one of Ellis's best output of music to date. Jack Ellis's EP Out of Luck will be released on September 2018 via District South Records.